Wasps eventually broke Leicester's stubborn resistance to register a 41-35 victory at the Ricoh Arena but an eight-try thriller was overshadowed by another controversial red card. Eight days after Bristol Bears flanker George Smith was sent off for a dangerous tackle at Saracens that was subsequently rescinded by a disciplinary hearing, Tigers lock Will Spencer was dismissed in similarly-contentious circumstances. Spencer caught Tommy Taylor with a shoulder to the head and his afternoon was over, but in his defence he was dipping low to make the tackle against a player who stands six inches shorter. The incident happened in first-half injury-time and despite being a man down for the remainder of a pulsating Gallagher Premiership clash, Leicester produced their finest moments to lead twice, with the outstanding George Ford instrumental in their comeback. Jonny May's second try was dubious due to a forward pass by Ford but it set up a grandstand finish that was settled by three penalties from Wasps full debutant Lima Sopoaga. Leicester's sense of grievance was at least eased by their haul of two bonus-points, but from the start it looked like it might not be their day. Full-back Telusa Veainu charged down a clearance by Elliot Daly but unluckily the ball squirted to Josh Bassett who charged forward in broken play before Juan De Jongh crossed via a pass from Dan Robson. Wasps stepped up the onslaught when Daly lofted a perfect kick to the left wing where Bassett outjumped Adam Thompstone to catch and score. Leicester's response was rapid as England duo Ford and May combined, with the former chipping ahead for the wing to grab and touch down for an expert finish. 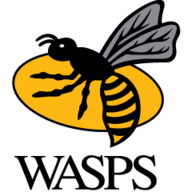 But the try only briefly stemmed the flow of home points as Wasps turned to the bludgeon for their next breakthrough, Nathan Hughes carrying hard twice and forcing his way over the line the second time. The Tigers continued to snap at Wasps' heels and were rewarded when Ford accelerated on to the ball and released Veainu for a score under the posts that was made possible by an excellent pick-up by Tom Youngs. 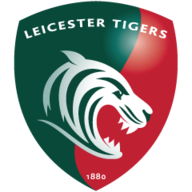 The lead had been reduced to four points but Leicester suffered the hammer blow of seeing Spencer sent off and to compound their misery Daly landed the penalty from 53 metres. The misfortune only served to inspire the visitors, however, as a Ford penalty was followed up by a powerful Sione Kalamafoni try from close range. For the first time Leicester led, but the advantage quickly vanished as De Jongh weaved a path infield, beating four defenders en route to racing over the line. Controversy reigned as Ford appeared to give a forward pass to May for the England wing's second and Ford delivered a quickly-taken drop-goal for the conversion to suggest he did not want referee Ian Tempest to intervene. Sopoaga swept Wasps to victory, however, with his three late penalties.